Destination Imagination (DI), an education nonprofit organization that develops and hosts academic challenges focused on STEAM (science, technology, engineering, arts, math) and other topics, will be holding its 17th annual Global Finals competition in Knoxville, TN, May 24-27. More than 8,000 students from around the world will participate, showcasing their innovative solutions in a tournament format. 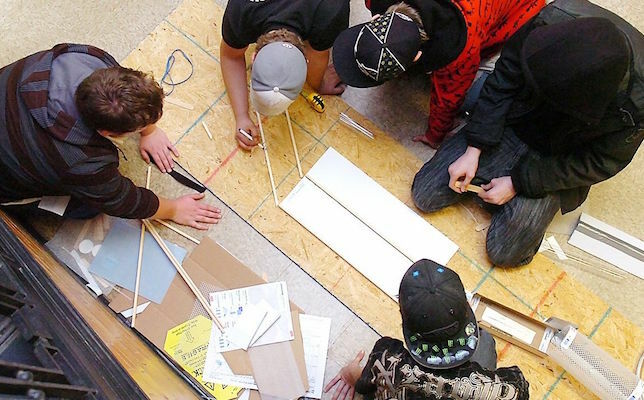 DI works with educators and industry experts to develop new challenges each year in technical, scientific, engineering, fine arts, improvisational and service learning categories, according to the DI website. Student teams present their solutions at regional and affiliate competition events throughout the school year for a chance to participate in the culminating Global Finals event. The challenges are designed to raise students' interests in STEAM fields, as well as increase global awareness, critical thinking, collaboration and other skills needed to become innovators. DI attracts an average of 150,000 K–12 and college students each year across more than 30 countries, and has impacted approximately 1.5 million students since 1982. Notably, this is the first year that DI has teams from Hawaii and Australia participating in the Global Finals, according to a statement. Previews of the challenges are available on the Destination Imagination site. To learn more, watch the video below.